The history of the castle goes back to the 1380’s when a fortified building was first erected on the small island by Lord High Chancellor, Bo Jonsson Grip. It is from him which the castle takes it’s name. Gripsholm – Grip’s Islet. 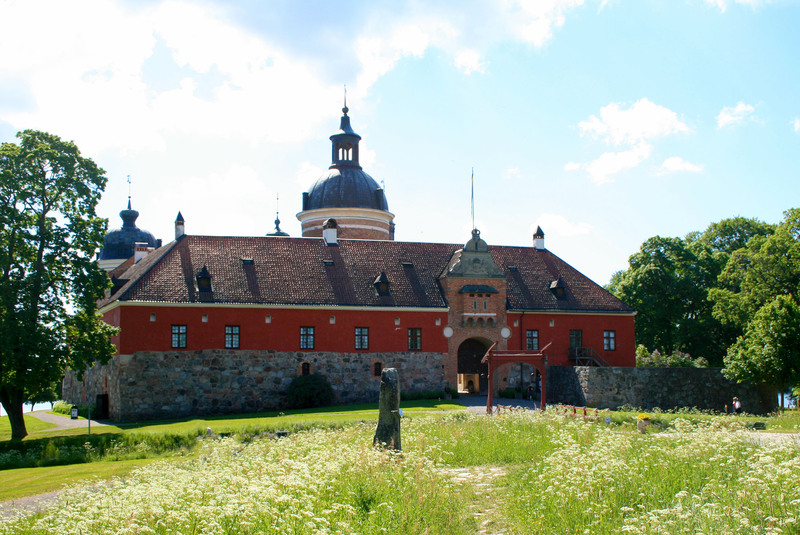 The present castle was built in late 1530’s by Gustav Vasa. Since then have been several alterations and additions particularly by Gustav III in the late 18th century. At that time, a collection of portraits was founded which is still housed in the castle. Today, it consists of more than 400 portraits. Another was added just in the past few weeks (as of mid-June 2013). The photographed portrait of Queen Silvia was replaced or supplemented with a painting.